"Deficit Speech", "Jobs Bill", "MSM", "Presient Obama", "politics"
"It is not about class warfare. 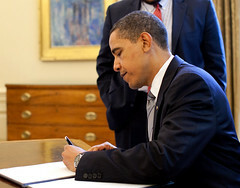 It is about math," President Obama said in his speech on Jobs and the deficit this morning in the Rose Garden. He is right. However, right after his speech I tuned into MSNBC only to see a morning anchor asking a guest on his show why the President had to apologize in his speech. I threw my hands up in the air, turned off the television and walked away in frustration. I skimmed through an article on The Daily Beast yesterday titled "The Scared President". I am not going to link to it because it just made me very angry and I will not give it undeserved traffic in my post. Basically, it was just a bunch of talking points thrown together, as far as I am concerned, based on what they have read from the new Ron Suskind book about 'behind the scenes" in the Obama White House. Everywhere I look nowadays there seems to be this theme on how weak and scared the President is. There is no rest from this message anywhere I go whether on the internet, in newspapers, on blogs or on television. Sometimes I wonder if I am in a Twilight Zone episode because I just do not get it. This is the President who killed Bin Laden, who gave us healthcare, who worked towards getting Don't Ask Don't Tell stopped, who signed a bill for equal pay for women, who is fighting hard to help our Veterans. Yet, he is scared, ineffective, effete, weak, gullible and I can go on with the adjectives describing how he is such a loser. Really, does he sound scared to you? But I have to ask, what about our 'scared' media. The media in this country has held and coddled the rich and the republicans for far too long. When Bush got in they did nothing to help this country fight against his harsh and divisive leadership. They became his cheerleaders for war and led us down a rabbit hole for 8 years, which has continued under President Obama and the Republican talking points. They carry water for the Republicans. I refuse to watch any Sunday Political shows anymore because they are packed with Republican shills. Every news channel has a Republican person mouthing off talking points all day everyday. CNN now follows Fox's lead and so do the other media outlets. I also have to say that some Democrats do not help themselves by running around with the hair on fire because they are so scared of the Republicans and the media. They need to grow a pair! When the President tried to talk about how Fox is the major problem last year, you had reporters, I once considered to be serious, defending Fox against the President. I feel as if I am living in a muddy and slimy hole all the time with all the crap that is flying around. I took charge of how I was going to get my news a long time ago and I wish more people would do the same. In order for me to get a clear view about what is going on I have to look wide and far for articles that will give me a balanced and fair view about what is going on in this country. This is not the time to be a lemming. We cannot rely on the mainstream media in this country for all of our information we have to be proactive and take a stand. We have to look for news sources that give us, not what we want to hear, but what is right and fair for this country. This President is not scared. The MSM is scared and they need to do what is right for this country and stop carrying water for the Republican Party. The Republicans are not the grown ups in this country, they are the spoiled toddlers who want to break and wreck stuff. The MSM does not want to say exactly what they know, which is the Republicans are not patriotic and in fact, they are committing treason by rooting for this President to fail. They are hurting this country and should not be seen as anything other than a bunch losers who cannot stand up and face the American people based on their policies because their policies are wrongheaded. The Republicans have to suppress votes and take away benefits from people who depend on them in order to satisfy their corporate overlords and the media helps them day in and day out. This morning I saw articles by Steve Benen and Greg Sargeant talk about how the American people like the President's Policies but they do no approve of how he is running the economy. In both articles they ask why is this. How does this make any sense? How can people in this country not approve of how the President is running the economy but yet they approve of what is in his jobs bill? I think the disconnect is because people are not doing their homework and are just watching shows on the MSM and listening to radio that says the President is out to get them and to hurt them and their families. Plus, all of it is wrapped in the racial innuendo that so many in this country are susceptible to. So as far as I am concerned "we the people" do not need to be 'scared' of our President we need to be 'scared' of the Fourth Estate that poses as our media nowadays. They are not the solution but the problem.